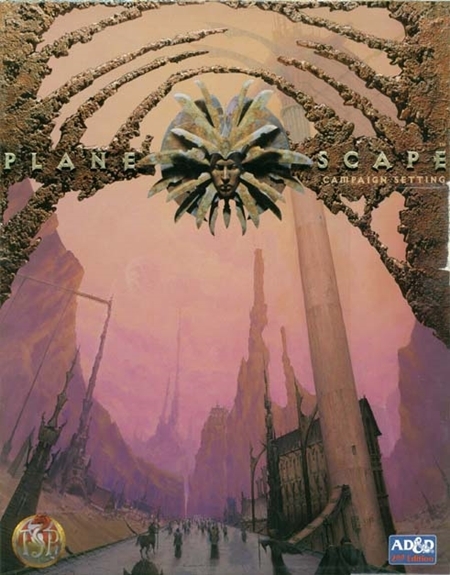 Planescape was one of the AD&D 2nd Edition campaign settings that passed me by while it was still in print, but I’ve been curious about it for years. I was thinking about it yesterday when an idea hit me: What would Planescape be like as an old-school, gold-for-XP sandbox? Since I don’t own it and the core set tends to be pricey in print, I asked two questions about it on Google+: What’s the minimum you need to run it well, and would it work as that sort of sandbox? I got some great responses. Many thanks to everyone who weighed in! “Just the core box” got some love, which appeals to me. I like improv, and these days the less I have to read to enjoy a game, the better. Allen Varney suggested the core box plus three specific books: The Factol’s Manifesto, In the Cage, and the first Monstrous Compendium Appendix. In the Cage expands on Sigil, the centerpiece city of the setting, and The Factol’s Manifesto expands on Sigil’s factions, both of which make for great sandbox components. I have plenty of planar monsters in other books, so I might skip the MC, but the core box plus two books sounds like a great starting point. I didn’t get as much consensus around this question, but something along the lines of “Probably, but systems other than D&D might be a better fit depending on what you want to do with it” came pretty close. That’s good enough for me! But for all that, there is a magic to doing it with D&D, explicitly because of the tension between the very clear logic of the game and the very much bigger logic of the reality of the planes. Since power and glory come from leveling up, and leveling up requires treasure to be taken from someplace dangerous and returned to civilization to earn XP (plus a bit of “gravy XP” from dealing with monsters, of course), how do you claim that gold in Planescape? I find that question deeply appealing. It sounds like it’d be fun to answer through play, and I suspect every group of players would approach it quite differently. A big, strange city full of factions is fertile ground for a sandbox, and Sigil sounds like one of the coolest cities ever put into a campaign setting. I was one of four GMs in a city-based, round-robin Dresden Files sandbox campaign that remains one of my all-time favorite games, and our Dresdenverse Boston was a big, weird city full of factions; I know how well that setup works. As for sandbox campaigns, the key way of controlling it is to limit the portal keys the PCs have access to. And you will have to limit the keys, or else the PCs can go anywhere at all in the multiverse. Which might be great for those who can run prepless games, but I like to be prepared, personally. With a fantastic central city, endlessly rich in adventure opportunities, plus the added special sauce of wanting/needing to acquire portal keys (to seek out treasure, to broker for information, or for a thousand other reasons), basing a Planescape sandbox in Sigil seems like a natural fit. I don’t do session prep, so that’s a good fit for me as well. In poking around the web, I also turned up Running a Planescape Campaign, which has some interesting ideas in it, and Planescape’s Missing Megadungeon, which proposes a tantalizing option. “Loosey-goosey planar D&D,” which is kind of what’s grabbing me here, also made me think of FLAILSNAILS. I’ve never run or played in a FLAILSNAILS game, but the basic idea — throw together PCs from a variety of roughly D&D-compatible systems for a night of adventure — seems like it’d apply well to Planescape. 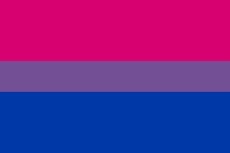 For the moment, that’s where my head’s at with the idea of Planescape sandbox: use 0e or B/X D&D, stick to the core set plus maybe another book or two, base things in Sigil, and see what happens. I lucked into a print copy of the boxed set, so once it arrives I’ll be able to bounce those ingredients off the setting and see if it still sounds as appealing as it does right now. He also brought up lots of other stuff, and even started an RPG.net thread to talk about some of it. Like many of the folks who commented on G+, he’s got great ideas about how to run Planescape. I’m not familiar with planescape but it seems weird to me that you’re talking about it as if it wasn’t old school since the 2e core and 1e are so very very similar. True! But gold for XP (getting the majority of your XP for extracting treasure from danger and returning it to civilization) isn’t how it works in 2e. In the two editions I’m considering, 0e and B/X, that is how it works — and marrying that to Planescape is what really grabs me.